Mi Max is the latest Android phone from the Xiaomi Mobiles. And the phones is selling like the hot cakes. The Phones comes with some decent specs and impressive features. 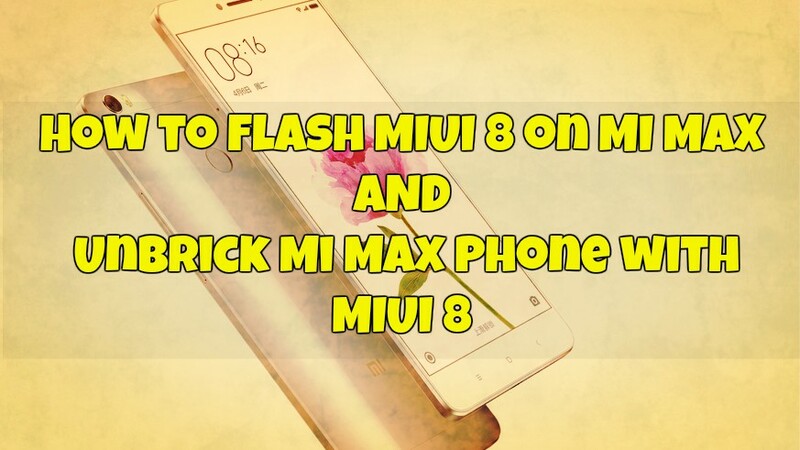 Here in this tutorial, we will discuss how to Flash MIUI 8 / Unbrick Mi Max Phone. If you are the MI Max user and during the MIUI 8 Upgrade you bricked your phone or stuck in bootloop. Don’t worry you can easily Flash MIUI 8 / Unbrick Mi Max Phone with these simple methods. This process will also help you to upgrade Mi Max to MIUI 8 ROM. The best past of the below mention method is that you can use it on both LOCKED and UNLOCKED Bootloader MI Max. Also, you can follow this guide to update Mi Max with MIUI 8 without unlocking the bootloader. The Guide is only for the MI Max users and don’t use the below mention steps on any other Xiaomi phone. Please be noted we Technobuzz.net will not take any responsibility for anything happened to your device. Use Windows 10 64-Bit. Read all the steps very carefully and follow all of them one by one on your Windows PC and Mi Max phone. Fastboot MIUI 8 ROM For Mi Max – Take note that 32GB has its own ROM. 64GB and 128GB are listed under Mi Max Pro. Once the Fastboot ROM is downloaded on your PC, unzip the folder on your desktop. Step 1. 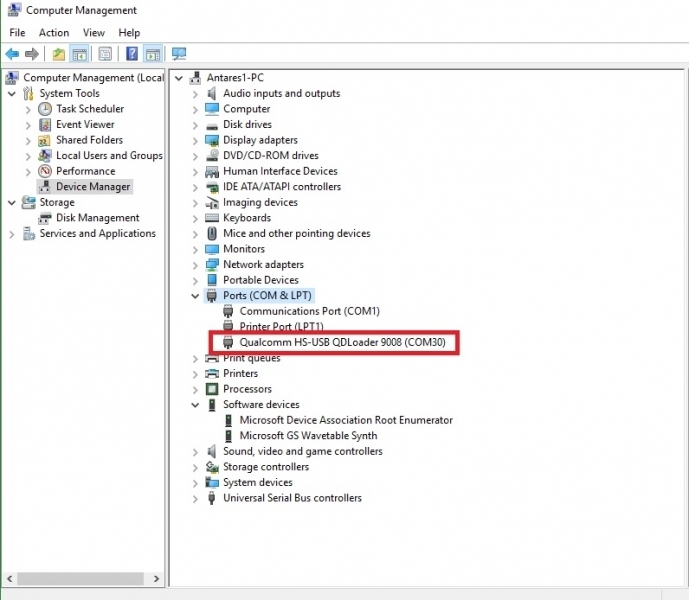 First Disable Driver Signature on your Windows PC. To do this Press Windows button + i on the keyboard to see the Settings page. From here you select Update & Security >> Recovery >>Advanced startup >> Restart now. Now your PC will Restart. Next, go to Troubleshoot >>Advanced Options >> Startup Settings >> Restart. Once your computer restarts, now choose Disable driver signature enforcement which is option number 7. Step 2. Connect your Mi Max phone to the PC with USB cable and Boot in Download Mode. (Not Fastboot Mode). To do this Switch Off your phone and Press Volume Up and Power button. Step 3. The screen will show blank, just let it be. And the PC will Find the Drivers for your phone. Step 4. Now open Device Manager on your PC and Phone will be detected as QHUSB_BULK under the Com Ports section. Step 5. Right, Click and choose Update Drivers. Now from here Choose Browse My Computer for Driver Software. Choose the Path of Xiaomi Folder. Most of the users will find it like this. Note: – If Folder does not exist, Install MI Flash from Above first. Step 6. Choose Install this Driver Software anyway and the drivers will installed on your PC. Step 7. Now you will see that the Qualcomm HS-USB are successfully installed. See the screen shot below. Step 8. Now the phone is successfully connected to the PC. Now run the MiFlash Beta application on your desktop. Step 10. From the Mi Flash App, Click on the Refresh button and see your device in flashing tool. After pressing refresh button, you will see the connected device (COM 3 or COM 4). Step 11. 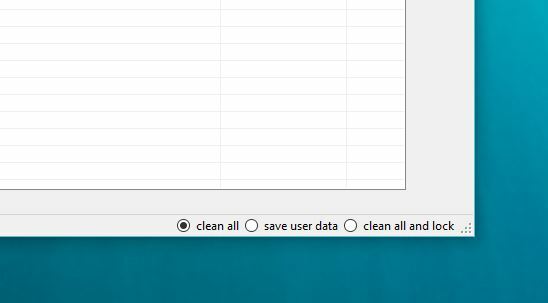 Make sure to check the “Clean All” Option from the Mi Flash Tool. Step 12. Now click on the “Flash” button to start the flashing process on your Mi Max phone. Step 13. 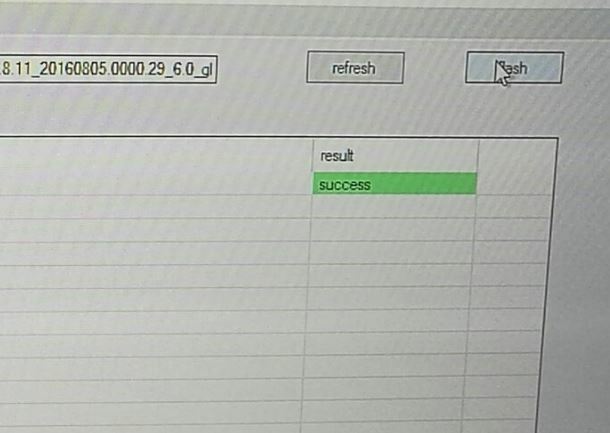 Once flashing process completes, you will see the “Success” Message on the result option. Step 14. Remove the cable and keep Power Button pressed until it vibrates and shows Mi LOGO. The device will start, wait until completion, it can take up to 10 minutes. Enjoy your newly flashed MIUI 8 ROM on MI Max phone. So this way you can easily Unbricked or Flash the MIUI 8 on Xiaomi MI Max Phone. I have just taken delivery of a Miui Mi Max from a well known Chinese online retailer, with, what I presume to be a custom Miui ROM. The Rom version is Miui 7.9 / stable (7.9.11.0 (MBCCNDC) however when I look on the en.miui.com. website the version they show is V7.5.3.0.MBCMIDE (MIUI7) . When using update facility of the phone it reports ‘No Updates Available’, which I find strange as I would have thought it should be able to detect Miui 8, unless of course they have prevented it from updating, to protect their massive amount of bloatware already installed. As a resident of the U.K. a mass of Chinese apps has no relevance to me at all. So my big, big question is will this guide above work for me? I have not checked but I know my phone will be bootloader locked and fear that as I have what appears to be a modified ROM am I going to have to unlock it and probably flash an earlier ROM version, rather than being able to update to MIUI 8 in bootloader locked mode as this guide suggests is possible. Sorry if my question is somewhat long winded, but your thoughts and advice on updating (avoiding bricking) my device would be most welcome. Hi, Julian. As you mention in your comment, that you bought the phone from Chinese Online retailer. Most of these retailers installed the Fake MIUI custom ROM with Bloatware. Yes, you can install the GLoabl Stable Rom on your MI with this Method. Read all the instructions very carefully and follow all of them one by one on your phone. NOTE : You don’t need to unlock the bootloader of the phone if you are using this Fast boot method.